If any destination is custom-made for a honeymoon, it's Tahiti. These beautiful and romantic islands in the South Pacific, known officially as French Polynesia, but commonly referred to as Tahiti, offer newlyweds an idyllic place to unwind, soak in the sun and try a variety of new activities. With a number of islands to choose from-including lagoon-embraced Bora Bora, mountainous Moorea, and idyllic Tuamotu atolls such as Tikehau-planning a visit here can seem overwhelming. There's no denying that a honeymoon in Tahiti requires a generous cash outlay: Rates at four- and five-star resorts, such as the InterContinental Moorea Resort & Spa or the Four Seasons Resort Bora Bora, range from $500 to $1,000 a night, and budget accommodations, aside from standard hotel rooms on the main island of Tahiti, cannot be had for under $300 a night (and many are far too basic-no air-conditioning, unappealing bed linens-to satisfy honeymooners). Plus, dining here is notoriously pricey as breakfast buffets alone can be $40-$60 per person! In general, when you factor in airfare, food, and activities, you can expect a one-week honeymoon in Tahiti to cost a minimum of $6,000 and $10,000-$12,000 on average. 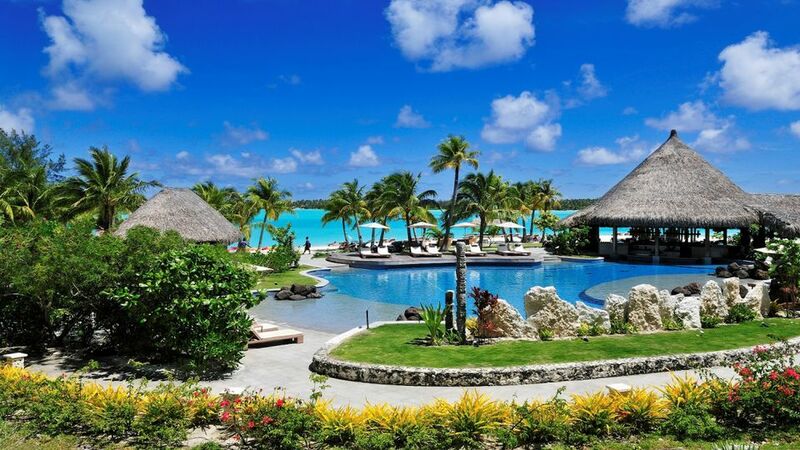 Rates at resorts on Tahiti, Moorea and some of the Tuamotu atolls (such as Tikehau and Fakarava) are much less expensive than on Bora Bora (but you must see Bora Bora) and there are ways to save, such as with package deals (airfare and resort stays) that are worth checking out. Bottom line: If you've chosen Tahiti, you had better be prepared for a hefty credit card bill upon your return. Tip: Consider setting up a honeymoon registry. It's like a bridal registry at a department store, but you register with a website (there are more than a dozen), choose a wishlist (resort, spa treatments, activities) of what you'd love to experience on your honeymoon, and have your guests chip in on them as their wedding gift to you. One week/two islands: Book three nights on Moorea and four on Bora Bora. Note: Most flights from Los Angeles to Papeete, Tahiti's largest city, and international gateway, arrive in the evening, requiring that visitors spend a night on Tahiti before heading by ferry or plane to other islands, but there is an Air Tahiti Nui flight that leaves LAX at 11:00 pm and arrives in Papeete at 5:30 am, allowing passengers to skip Tahiti by connecting right away to other islands (a 10-minute hop to Moorea, a 40-minute flight to Bora Bora). Both Moorea and Bora Bora are the perfect islands for honeymooners who are first-time visitors, offering excellent resorts, sublime scenery and a range of land- and water-based activities. Ten days/three islands: Book three nights on Moorea, three nights on Taha'a, Tikehau or Fakarava and four nights on Bora Bora. By adding Taha'a, accessed via the airport on nearby Raiatea, you'll enjoy a more secluded experience than on Moorea or Bora Bora, while Tikehau or Fakarava, two of the tiny coral islands in the Tuamotu Atolls, offer end-of-the-earth solitude and exceptional diving. Two weeks/four islands: Book three nights on Moorea, three nights on Taha'a, three nights on Fakarava or Tikehau, and five nights on Bora Bora to enjoy a wonderful sampler of the best Tahiti has to offer honeymooners. No matter how hard they try, Tahiti's other islands just can't compete with Bora Bora's undeniable wow-factor. So I recommend that you make Bora Bora the last stop on your itinerary-which is possible depending on interisland flight schedules for the days of the week you'll be traveling. Yes, resorts may try to up-sell you special romance add-ons, which you can always decline-but if they know you're honeymooners, they may also throw in little romantic extras you'd other miss.